Welcome to Ohana Generational Healing, a groundbreaking modality in healing inherited family trauma that is passed down through the DNA of our Ancestors. 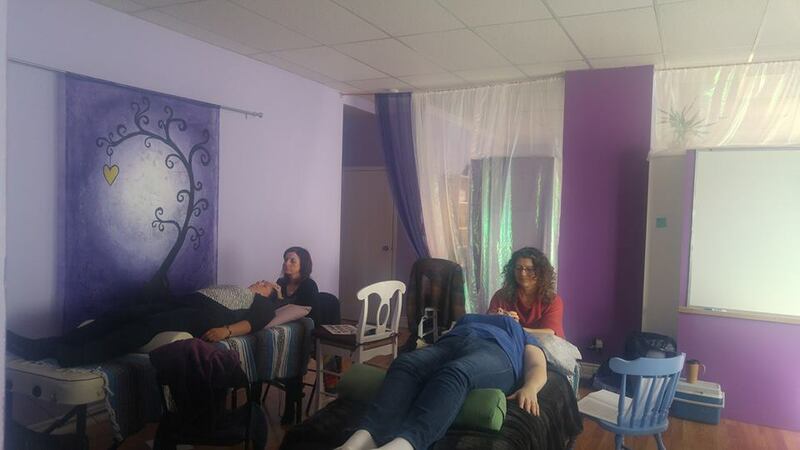 This modality allows you to access the traumatic entrance points and release the memories that have been stored in the energetic bodies, so that you can start to move forward without the old traumas holding you back. Founded in 2016, the Ohana Generational Healing connects the client to the stories of their Ancestors, giving them a free space to explore the traumas that have been handed down through their Ancestors, and their own personal experience, to allow room for growth without the weight of their history hindering where they are going. 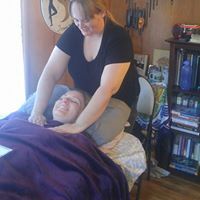 This hands on energy treatment allows the energies to flow in through main connection points, and release the traumatic memories that are stored within. Ohana Generational Healing is an ideal treatment for people who are feeling stuck by inherited family trauma, or wanting to break the patterns of hurt and pain that their family has suffered. Trauma is a very fluent word that affects each of us on a different level. For a two year old, a traumatic event could be not receiving a cookie before dinner. While an adult is able to identify why this may happen and recognize the absurdity that the child may feel during a temper tantrum, a child does not have the emotional capability to deal with this trauma. The adult may require something more emotionally impactful (job loss, divorce, abuse) to happen in order for them to claim that they have experienced trauma. Scientists have learned that our DNA carries the memories of trauma forward into each new family member, until that trauma has been healed. In one experiment, scientists produced a scent prior to shocking a pregnant mouse. When they shocked her, she showed the signs of trauma. When she gave birth to her babies, the scientists produced the scent for them. The babies, upon smelling the scent, went into their own experience of trauma, although they had never been shocked. The scientists continued this for 8 generations of mice, and each generation showed the same trauma response as the pregnant mouse had in the beginning, although none of them had actually experienced the feeling of being shocked. In another study, scientists took DNA from participants and placed it in containers in a separate room. They then had participants watch emotional movie clips, and noted the changes in their DNA samples in the next room. They continued to move the DNA further and further away, until they had reached 3500 miles, and every time the DNA took on an emotional charge and change from the clips that the participants were watching. Based on these two studies, it is easy to determine that our DNA and our emotional shocks, traumas, and upsets are constantly changing, and forever impacted into the core of who we are. Our ancestors, in a lot of ways, experienced more trauma than we will ever have to face. For many of them, there were premature deaths, accidents resulting in death, malnourishment, abuse (in all forms), fires, job losses, wars, etc that they were made to experience. For them, it was just a way of life, and they continued to move forward, regardless of how much emotional pain they were experiencing. Many times, emotions held no value to a way of survival, and so they had to carry on. When our emotions are not given a free space to be released, they become stored within the DNA structure, and then passed on through generations. While they may lay dormant in one sibling, they may be more apparent in another. By honoring our ancestors stories (and giving them space to live in our hearts) we give them space to heal, forgive, find compassion and understanding, so that they too can move forward. Our generation(s) have been quite blessed in the fact that we are free, and often encouraged to share our emotions within our family, our community, with our spouse, our friends, etc. Mental health awareness is more popular now than it has ever been in past decades. More and more are standing up to abuse, impaired driving, workplace accidents, rapists, murderers, etc. We live in a day and age, where a common theme is ‘Oh Hell No!’ and we put a stop (or at least try to) to whatever we are seeing that is hurting another. And yet—our generation is seeing more mental health issues coming to the surface. Children are being medicated for high anxiety, and anger issues. Suicide rates are up and continue to rise. Children born with learning disabilities, or on the spectrum are happening more so than any other time period. Children, and young adults alike are suffering obesity, heart attacks, and sudden death more than any other time period. So how is it that we can live in a day and age where we can experience our emotions in their full range, and yet we are hurting more than ever emotionally? How is it that we live in a medically advanced society and yet continue to have unexplained heart issues, cancer, and diseases that no one has ever heard of before? By looking at the patterns that are being held in the DNA and emotional response of yourself, or your clients, you will begin to see, that more often than not, we are not experiencing anything new, but rather the collaboration of generations of our ancestors’ pain, hurts and illnesses coming forward all together, for us to begin to heal within our experiences.